The last day of October has arrived and with it the annual celebration of the harvest and goblins: Halloween. We are having a gathering at work today and I'm bringing dirt--with worms. I can already imagine crawling into it and wallowing around in it for a long time. I'm not going to do the costume thing, but I do enjoy looking at the costumes that others wear. It is funny how people find costumes that reflect their personalities. I wish I could take pictures of the costumes people wear at work--some are pretty funny, like the horse costume on guy wore last year. We have two parties tomorrow--a kids party in the afternoon and an adult party at night. 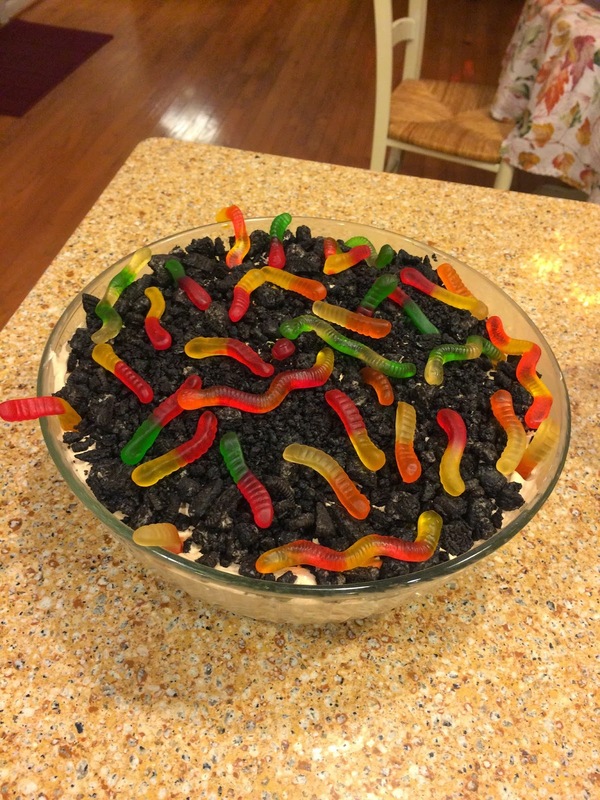 There will be another dirt with worms for the evening party. It is time to party--responsibly! Be safe. Watch for trick or treaters, and more importantly--stay sober! It's a jungle out there. The MLB season ended last night when the San Francisco Giants became the World Series Champions for the 3rd time in 5 years becoming the first team to win a game 7 on the road since 1979. Congrats to them. The road to the Championship that began in Spring Training during February has finally concluded. After 2,461 games, it all came down to last night and game number 2,462. I call it Game 7. Where one team is champion and the other 29 teams are unhappy. Wow, there will be no baseball for the next four months. I will have to survive on hockey. Go Pens! It is good to be finally through with the baseball season, I guess. I am already preparing for next season. The dates for the Spring Training Trip have been selected--and it will include a golf outing this year. I will probably really need a golf outing in March and golfing while getting my baseball fix--what could be better. It was another one of those weekends when the number of dogs in the house doubles. Ben, Jeremy's dog came for a couple of days while they were out of town. Ben enjoys being at the house and treats it like his own. Even to the point of occupying sofas and chairs as the spirit moves him. When Makayla and Ben are in the house, I call them my "pair o' kees," because they are both Keeshonden (or, for Americans, Keeshonds). Ben is truly comfortable at the house and becomes a member of the pack. And the pack includes both cats. The cats, Riordin and Louis, do not mind having Ben around. They don't run or hide like they do when some other dogs arrive--but everyone blends together. One big, happy (sort of) family! 1. Sitting around a fire last evening watching the night fall was an awe inspiring experience at the end of a full day. We have not done that much in the past--but we should have. 2. Burning embers on a cool autumn evening. 3. I played golf again yesterday--my best round ever. It's not that great though, my computed handicap is still at the maximum of 36. 4. Football is winding down into the playoffs for high school and youth. I've been following the Homer, NY football team--go Trojans. On to the playoffs. 5. Smoke makes a fire linger long after it is gone. 6. People came to look at buying Kitty today--they test drove it for 40 minutes, but no sale--yet. 7. Read an article about possible links to cancer from the electromagnetic waves from my FitBit. Really? 8. Next week at this time we will be on standard time instead of daylight saving time. Translated--it will be darker sooner. While enjoying the better than forecast October weather yesterday, I had a revelation. If the weather was beautiful every day, I wouldn't appreciate the good days anymore because they would all be good days. If there was not an autumn, I wouldn't appreciate the green leaves of the trees and the green grass of my lawn during the summer. As the season winds down and the tree canopy in my backyard gets thinner, I appreciate how thick it is during the summer. I believe I could live in a tropical climate and never get bored--but I realized that living without leaves on trees for five months of the year makes me appreciate the leaves even while I am raking them from my yard. 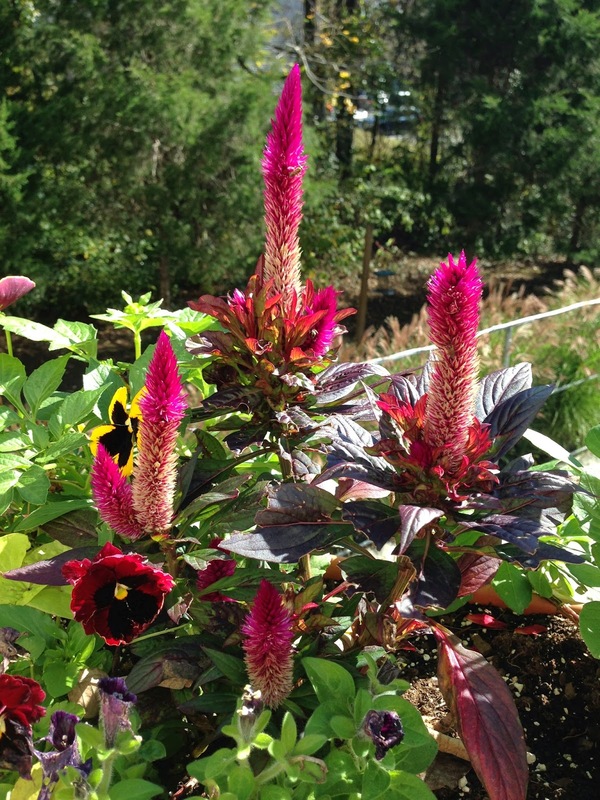 The autumn flowers are also providing their last splash of color before the frost settles and robs my yard of their color. I think I finally understand autumn. That doesn't mean I like it, but I appreciate how it makes me enjoy summer even more. Sitting at dinner last evening at a restaurant in Annapolis, the sunset became a topic of discussion. It was stunning scene as the setting sun painted the clouds with fiery red hues during our dinner. I captured the scene as best as I could through the dirty windows of the restaurant. It was a great way to close out the work week and begin the weekend. I thought of it as the exclamation point at the end of the week. It was an inspiring scene. I was amazed when I bought gas yesterday. 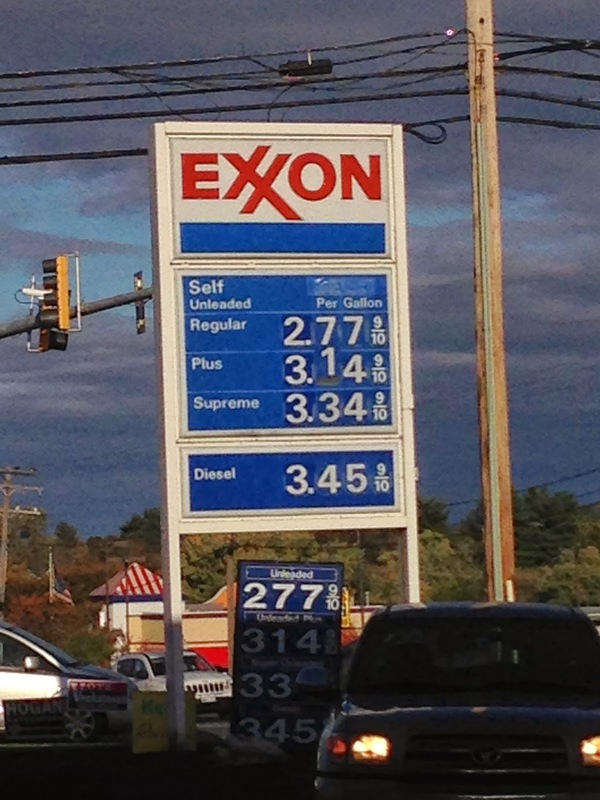 Gas prices have fallen about $1 since summer. And they are still falling. I really never thought I'd see sub $3 per gallon prices again. But, the analysts indicate that the lower prices may not be a long term good thing. According to a Washington Post article, low gas prices may signal that the world economy is much weaker than originally thought. Secondly, lower gasoline prices may also damage the developing U.S. shale oil industry, which amazingly, may be responsible for employing over 2 million people. They call it tight oil and shale gas. For now, I'm looking forward to some extra spending money for the holiday season. My concern about the larger worldwide economic problems is definitely secondary to my personal checkbook. I wonder if gas prices will get into the low $2 range for Christmas? And that would be good for people who use fuel oil to heat their homes, too. 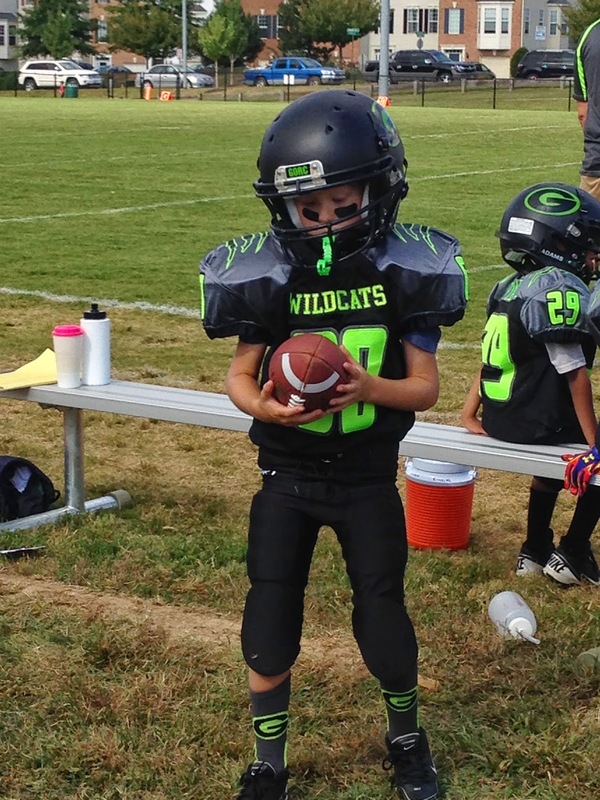 Following on to yesterday's blog about the Royals and their lack of championship character, I was reminded of what I observed during last weekend's football game between the GORC Wildcats, the team that grandson Jax plays for, and the Chesapeake Cougars. Jax has been developing into a tough-nosed player during the season. The past two weeks he has not even come off the field--playing offense, defense, and special teams. He loves to recover fumbles and loves to run the football. Last Saturday he scored his first point by running the ball across the end line for only the second point after touchdown for the team this season. The week before, he picked up a fumble and rambled thirty or so yards before being dragged down from behind. But you know what made me proudest? Last week after he leveled a kid trying to block him as he rushed on defense to tackle the quarterback, after the play, he stopped to help the kid back to his feet in a friendly sort of way. The game is not personal! I was ecstatic that the Giants defeated the Royals 7-1 in the first game of the World Series last night. Just to be clear--I hope the San Francisco Giants sweep the World Series from the bad-boy Kansas City Royals. No, it is not because the Royals beat the Orioles--I usually hope the team that beats mine wins it all so at least I can be comforted by realizing that my team was dispatched by the eventual champions. The Royals do not possess the character of a true champion. 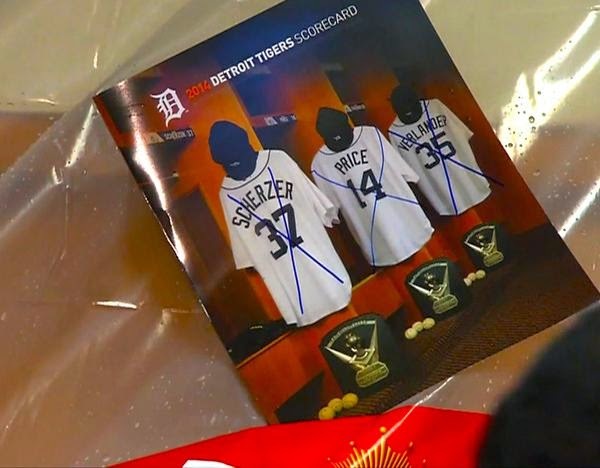 They are thugs, similar to many NFL or NBA teams and do not deserve to represent either MLB or the US as our World Series Champions. Champions have compassion and understand that winners are only a few outs or hits away from being losers. 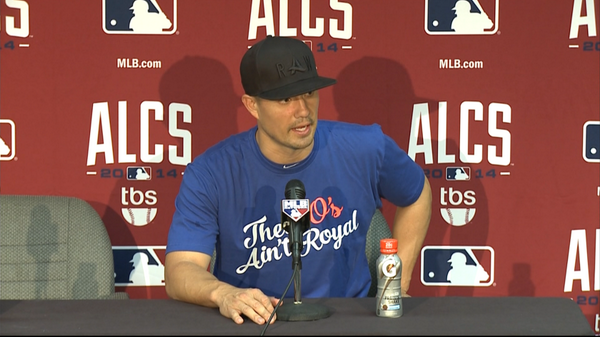 Jeremy Guthrie and the rest of the Royals were not gracious in victory. They forgot that in sports only one team goes home happy at the end of the season. Rubbing the losers noses into the loss--especially a hard fought series which featured some of the worst umpiring I have ever seen in playoff baseball, is just not how it is done. The Kansas City Royals have replaced the team from up north that shall remain nameless as my least favorite team in baseball because of their lack of character and respect. The Royals are not royal, they are pretenders for the crown and the Giants will hopefully humble them into submission and be gracious about it. The ads for the candidates are mounting on the television. My boredom with the candidates increases because they apparently are afraid to tackle real issues. In my area of Maryland, I know that one candidate wants to be governor because I shouldn't trust the other candidate. And I know the other candidate will make a good governor because his daughter says so! The race for the congressional seat is a yawner. I have never heard of the candidate opposing the incumbent. When I reviewed the ballot this year for my polling place, three elections have only one name, meaning they are running unopposed. Issues? What are the issues? There are a bundle of them and apparently the candidates at all levels are hoping the electorate doesn't have any issues. 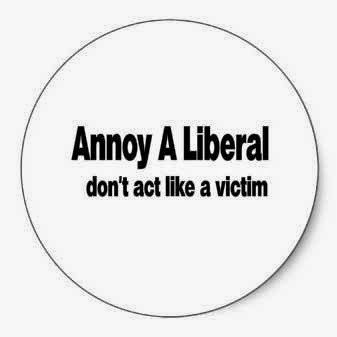 I have a few: continually increasing taxes AND fees! An increased fee is a hidden tax! And then there is the issue of what is the state doing with the windfall revenue from the casinos? Much of it was supposed to go to schools and horse racing (believe it or not) but the schools remain funded by ever increasing taxes it appears. The state is doing a slight of hand by using the revenue from the casinos to fund school but reducing the amount of funding from the general fund--net difference ZERO! What happened when the electorate becomes disillusioned? First, people do not vote. 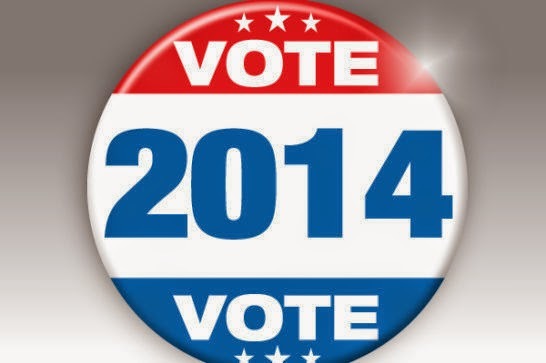 Second, those who do vote elect single issue candidates who do not represent the best interests of the people. My advice--get out and vote two weeks from today. If you are happy with the way things are, return the incumbents. If you are unhappy--then find a candidate with a more global view of the issues and get them into office so that we can begin to repair the broken political system of this country. 1. October is flying by. Too soon it will be November and time to let the clocks fall back and the dark days will be fully underway. 2. Autumn is moving into the stage where the beauty shows up just before the leaves fall off. And the cold is coming. 3. When little boys play football on a full sized field, they look really small. 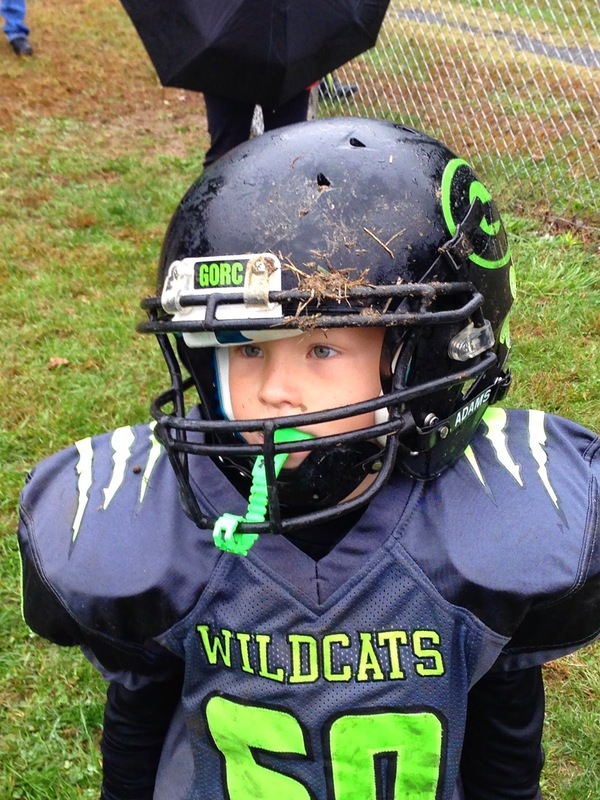 Jax and the GORC Wildcats secured a shutout 25-0 on Saturday. Jax scored his first points of the season carrying the ball across the end line for the point after touchdown. 4. The NFL seemed like a bit of a let down Sunday after the excitement of post-season baseball. 5. After a busy day, even the dog needs a nap. 6. Birthdays are a great reason for families to get together. Sometimes the need for some comfort food for dinner is overwhelming. The other evening, Chipotle was at the top of the list. Inexpensive, fast, piled high, Mexican food. We stood in like for about 10 minutes to get served. When I was a kid, I remember it was a trip to the newly opened McDonalds in our town that served as a dinner treat. We had to eat in the car because there was no inside seating. I also remember going to the Ponderosa Restaurant when that opened. These are definitely not upscale dining choices, but they specialize in comfort food. After a long week, sometimes a quick trip for comfort food is just the ticket, as long as it in not an every week affair. I was not amused when I stepped on the scale at the gym the following morning--comfort food is heavy! In my case, I played an extra game of racquetball the next day as penance for my Chipotle indiscretion. The morning dawned cool and sunny. The sky was clear and I noticed how quickly the autumn is progressing as it leaves summer in the now somewhat distant past. 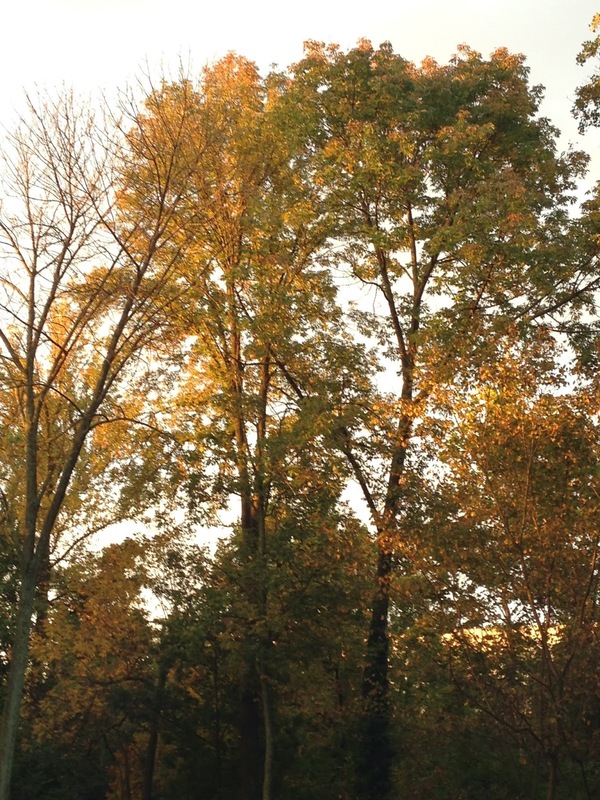 The leaves are changing color and falling from the trees. The once full canopy which surrounded my house is thinning with the approaching onset of winter. The golden hues from the dawning sun created a beautiful setting. I enjoy the dawn and the promise that each new day holds. We have a lot planned for this weekend and I'm glad that it is going to be nice--weather-wise. Yesterday was special because I was able to take the convertible out for a ride with the top down. I realized that it may be the last top-down, hair-on-fire ride of the year. The temperatures are getting cooler--the forecast highs for mid-next week are all in the 50's, brrrrr. Looking at the image of the day as it dawned over the pool house and I noticed that the door is open--again! I'm not sure why or how, but it seems that the door to the pool house is almost always open. Not a good way to keep the vermin out with the onset of the dark days. 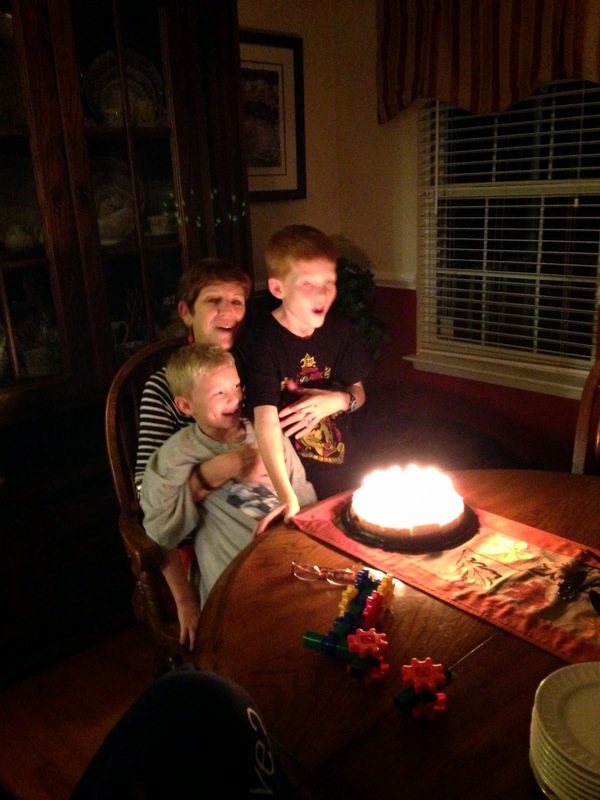 Wednesday evening we celebrated another in out family string of birthdays. It was Chris's birthday and I have to admit, she was a real good sport about letting the assembled birthday flash mob finish watching the Orioles season ending game before beginning the celebration of her time on the planet. The celebration was a bit subdued as the Orioles season ended and they officially entered the post-season. But the party went on once the game was over. The lights went out, the candles were lit and the family rendition of Happy Birthday was sung again with the new Cha Cha Cha refrain. And gifts were exchanged. It was a party--a surprise party! The sting of the loss was eased as we focused on life, living, relationships, and love. The family was awesome assembling on short order. The evening was rainy and the mood as bright as possible. It was nearly perfect. With a thud and a throw across the infield, the Orioles 2014 baseball season ended last evening in the fourth game of the American League Championship Series. They lost the series in four straight games and my hopes to attend a World Series game in Orioles Park at Camden Yards will be unfulfilled for another year. It was raining in our area all day, almost as if the storms were shedding tears for the unexpected end of the Orioles improbable season. The season did not end the way I would like to have seen it end, but it is over. I am already looking forward to spring training. The team from the mid-west earned their berth in the World Series by winning the championship series from the Orioles. I will not be cheering for the mid-west team--not because I have a bad attitude, but because I like the teams from the other league more. Our guys played hard--and came up just a few runs short. It is sports: there are winners and losers, I know this because I play racquetball. Someone wins and unfortunately, the other player loses. It is a fact of life. In the meantime, I celebrate the accomplishments of the team from Baltimore. I need a mental diversion from the MLB playoffs. 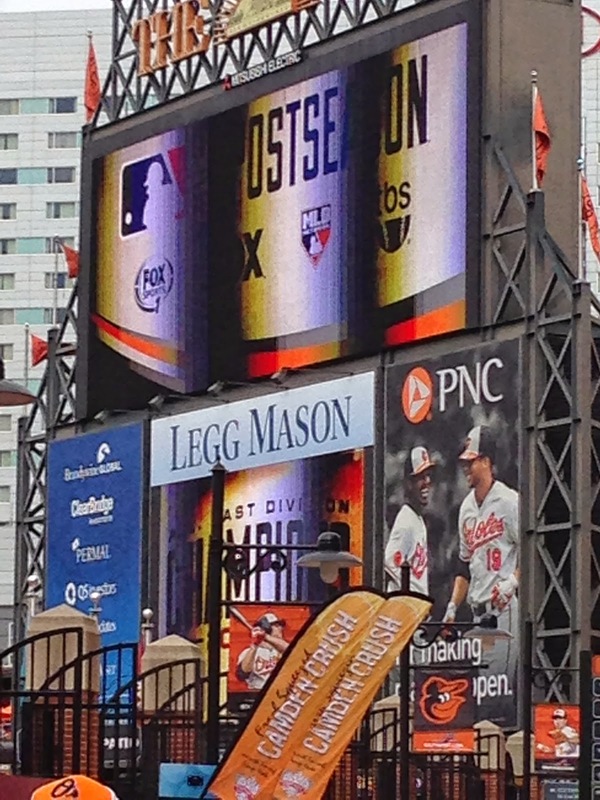 I think I am getting a bit wrapped up in the excitement that is this Orioles post-season. I have been dreaming of attending my first World Series game. I remember being at Spring Training during March, enjoying the sun and heat of Sarasota while watching this Orioles team come together. They are, after all, one of the last four teams standing. Even though they lost again last evening, I am comforted by knowing that when I was in Sarasota the baseball pundits were picking the Orioles to finish last in the division which they won. But this is October, the month of Halloween! Scary costumes, parties, and trick or treating. I admit, I do not fully understand the fascination with blood and destruction. Like the image I snapped the other day of a display in a store. 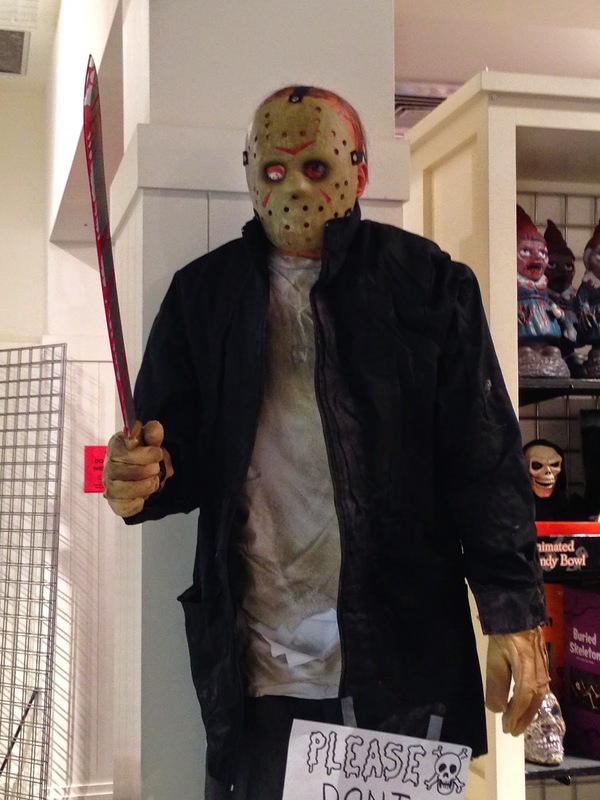 It made me shiver--what if I really ran into one of these guys on a dark street? I'm not sure I could run fast enough to get far enough away. Do I really want my nightmares coming to life? 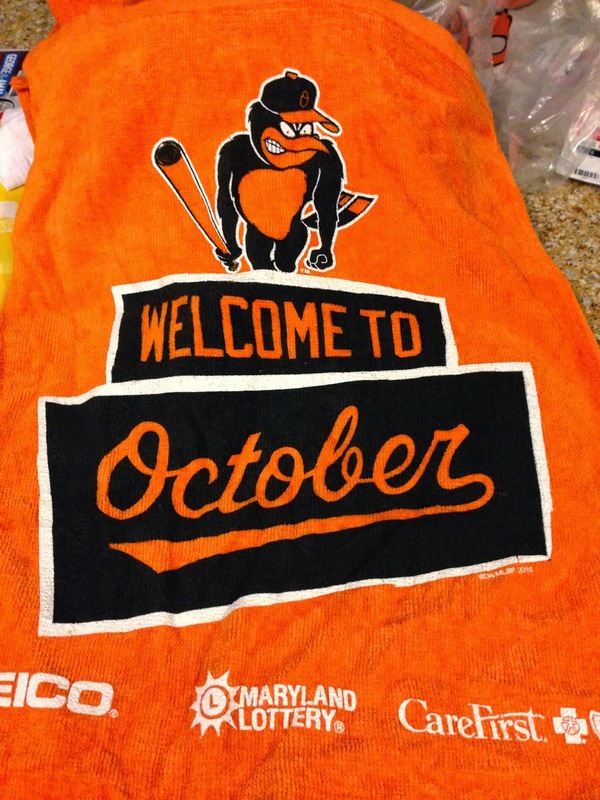 I'll stay with the Orioles--at least they are not going to be scaring anyone on Halloween. It's the season for the harvest and pumpkins. 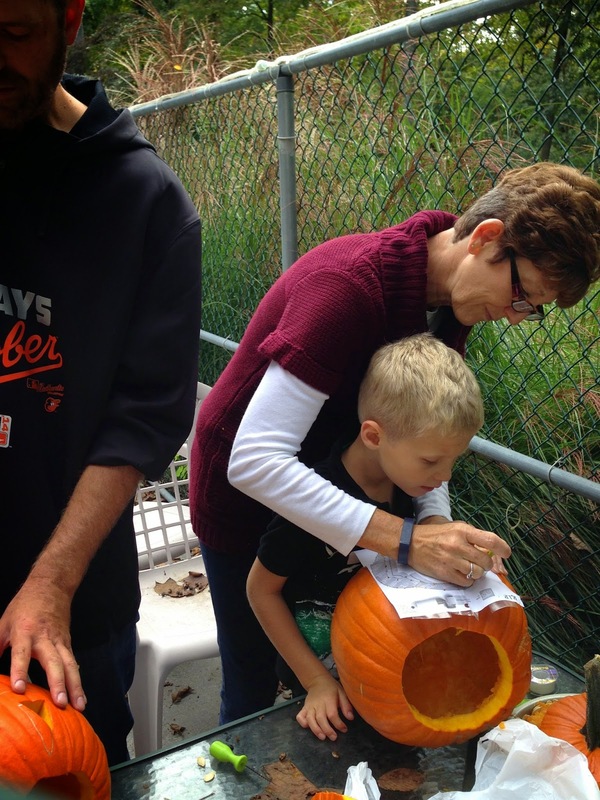 Sunday, we gathered the grandsons, selected a few pumpkins and hosted a carving party. First, however, was the trip to the Pumpkin Patch to select the perfect pumpkin for carving and to become the jack-o'-lantern of their dreams. That was an experience in an of itself, but it was early enough in the day and the season that the patch was not too crowded and the trip was a great success. Next came the carving. Think about it, sharp objects and three boys under the age of 10. And of course there were the stars of the day, the pumpkins. Prices are up. 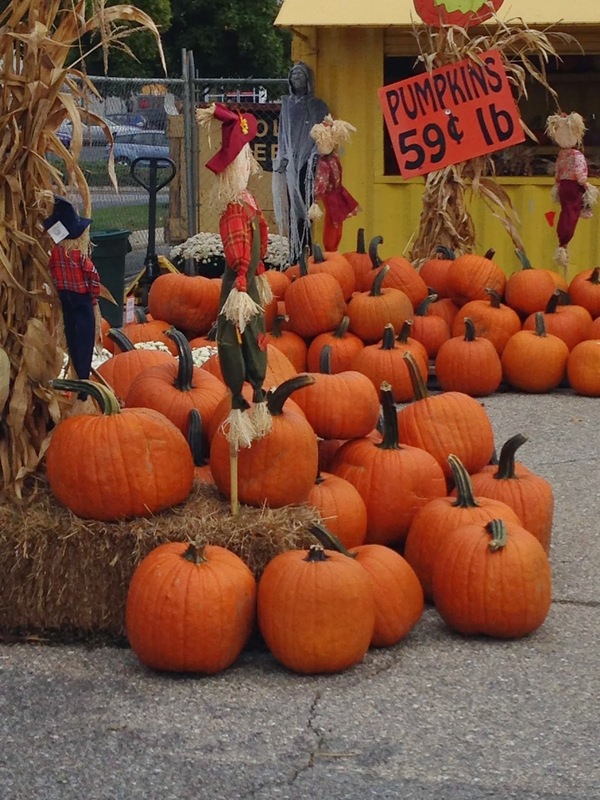 One pumpkin weighed in at a weight equivalent to $30. It was summarily rejected. It is a pumpkin, not a Christmas tree! But Ethan, Jackson, and Lucas picked out pumpkins. Big pumpkins. And then, once we returned to the house the carving began. It was organized chaos. It was not easy wading through the pumpkin entrails to get to the part where they become jack-o-lanterns. But the boys, and parents and grandparents, were up to the challenge. After some tense moments, the jack-o'-lanterns began to emerge. The efforts and the design process began to payoff and the final results were in sight. We had to opportunity to view Jax and Ethan's jack-o'-lanterns lighted and scary in the night. They are a study in contrasts--traditional and modern. But they are both awesome. 1. Happy Columbus Day observed. In 14 hundred and ninety-two, Columbus sailed the ocean blue. We have reduced the celebration of this observance in recognition of the subjugation and genocide directed at the native people inhabiting the hemisphere as a result of being "discovered" by Columbus. 3. The grandson's got together in the garage yesterday to put together some Orioles cheers. I wonder where they learned all of those cheers? 4. I am still amazed at how therapeutic it is to get out early in the morning to play a round of golf. I did it again yesterday. At least once every week since August. Not a new low score, but better shots in all parts of my game--well except for 5 putting the par 4 9th hole. I went from putting for par to ugly in a few short strokes. Ugh! 5. 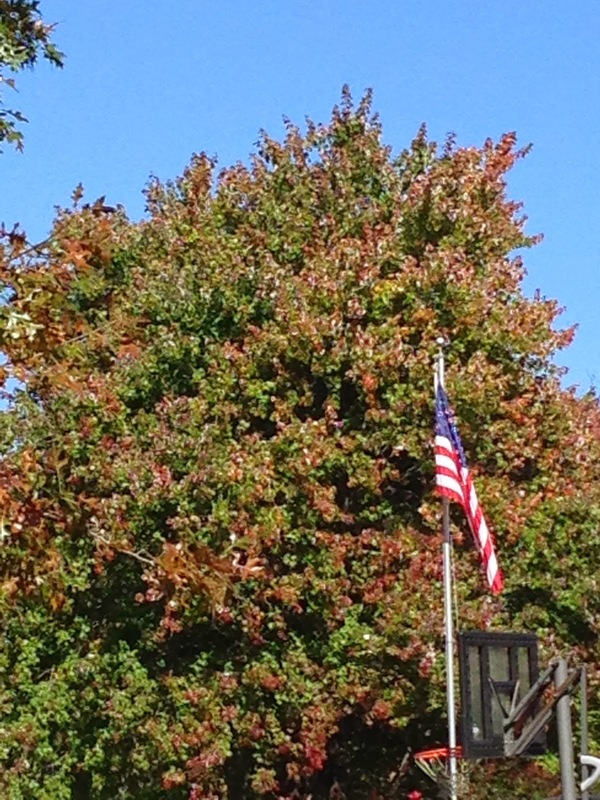 Autumn is gracing the trees in our neighborhood finally. The color is beginning to show and the trees are donning their autumnal colors in anticipation of the finally beauty show before the onset of the dark days. 6. I am not a huge fan of the Washington Post, but they are running a series of articles highlighting how local police departments are using asset seizures to fund their operations. The series Asset Seizures Fuel Police Spending highlights how things that I didn't believe could happen in the United States are happening and are apparently "legal." Here is the part that really got me: Of the nearly $2.5 billion in spending reported in the forms, 81 percent came from cash and property seizures in which no indictment was filed, according to an analysis by The Post. Owners must prove that their money or property was acquired legally in order to get it back. I getting into youth football because Jackson is playing. Here is my personal play of the game from Saturday. Number 60 is Jax! Even though it was early on a cold and rainy October autumn morning, Chris and I were there to see the play. And the game. Yesterday was a difficult day for me, in terms of sport. 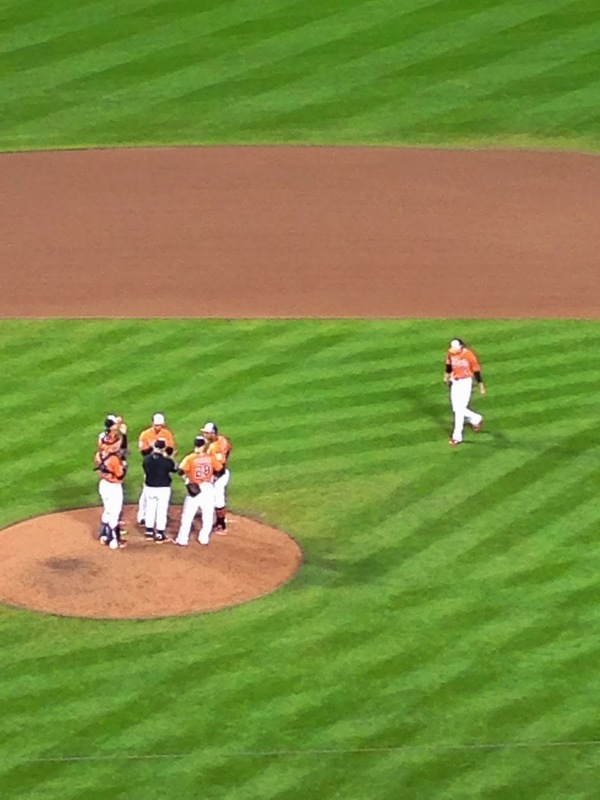 I watched the Orioles lose two games that they should have won. The first game was a continuation from Friday night's game in to the wee hours of Saturday morning and the Orioles, uncharacteristically, lost the game in the 10th inning. The Orioles gave up three runs in the 10th inning. In the bottom of the inning they and got one back but the game ended with two men on base and the winning run at bat at the plate. Final score: 8-6. And the game ended with the tying run striking out at the plate. The series now goes to the visitor's city and a brash player for the their team made the statement last evening that he does not expect the series to return to Baltimore because they will close it out at home and gain the American League berth in the World Series. While that statement made me cringe, I was happy to have heard it because it showed me how much the team from the mid-west underestimates the determination of the Orioles. Orioles Magic plays well on the road. 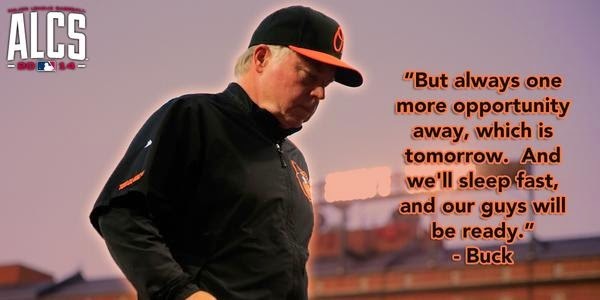 While their noses are bloodied, I believe the Orioles now realize that they are looking at themselves in the mirror and will be ready to win at least two games on the road, if not sweep all three possible games. Like Buck says, "I like our guys!" Down, but not out. Just making the opposition a bit over confident while we revise the game plan. Stay tuned for Game 3 of the series on Monday night. I continue to be amazed at how a great Friday can rescue a mediocre week. I spent the week in a training class and that wasn't bad, but the slower pace of training begins to wear on me after a while. My normal days zip past and I frequently lose track of time. Not so in class--I watch the clock. It is amazing how slowly the second hand moves. So why was Friday the rescue day of the week? Well, the Orioles were playing baseball in the American League Championship Series (ALCS), although they lost, it was Saturday when the game ended; I spent a great evening at a wine restaurant in Ellicott City with friends; and although I lost the earpiece for my phone this morning--it was returned to me this afternoon. And the training, Oh yeah, it was pretty good too and it ended! 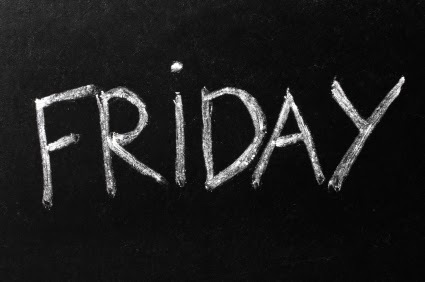 So what is the real importance of Friday? It is the day before Saturday, which is my favorite day of the week. 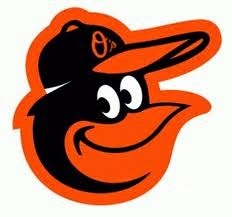 I am now officially in the weekend and I am headed off to the Orioles playoff game today. 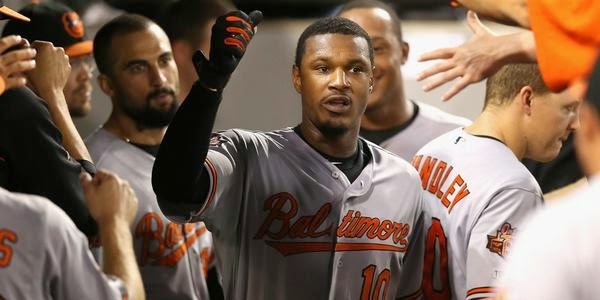 It should be another great day--because the Orioles will even their series with the Royals today. The best evenings often happen without a lot of planning. Like last evening. Chris and I were watching Lucas, the sky was clear and the evening was only a bit cool. 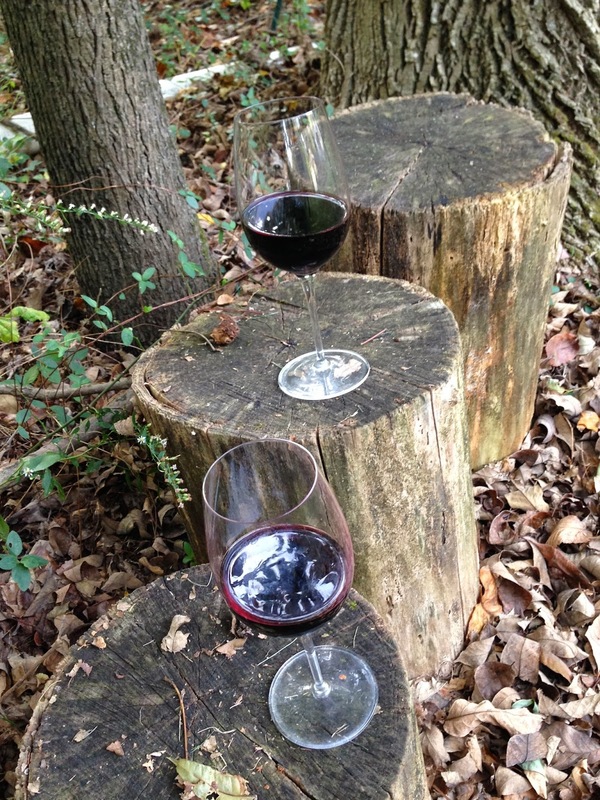 We enjoyed a glass of wine together in the backyard as evening began to fall. I admired the evening, because I know the number of such perfect evenings will be fewer as the year progresses into November and then December. The wine in the backyard was a nice touch. I was even assaulted by a few mosquitoes, just to remind me that autumn has not fully wrested everything from summer's grasp. Rain is forecast for today. I believe we will not be enjoying a repeat evening tonight and the memory of last night will have to remain as the season continues to evolve into autumn and then winter. I relish every day and every evening more and more. Especially, the ones which create memories. I have been in a class this week learning about achieving effective results as a leader. I have been exposed to valuable concepts, but one thing I ran across--which is not part of the curriculum, is that some people have a victim mentality. What is a victim mentality? It is perpetuating the belief that we cannot change our circumstances and that we have no control over what happens to us. I do not subscribe to that idea. I do not want to live like a victim--sometimes bad things happen and we truly have no control over the event, but we can control how we react. We do not need to react like a victim. While we are not in control, we do not have to be victims--there are circumstances that we can control, and we should exercise controls appropriately. One of the things we can control are the stories we use to understand the situations in our life. A classic victim story is the one that goes: "I work hard to give you all of the things you want and I have no time for myself." It is a rationalism--it is a victim story. The rationalism suggests that the person is not in control of their life and that everything that happens, occurs despite their efforts. One of the hardest things we can do is take control of life because it means we can't blame our decisions on others. It goes back to the classic question: "Does a red light make you stop?" Of course not, it is a suggestion--a pretty good one, but we have to decide to follow the advice. Stop being a victim and take control in the areas of life where it is possible. The nights have been getting colder and the days are cooler than they have been. With each successive day, we wonder if we should finally turn on the heat and succumb to the fact that summer is gone and the autumn has progressed to a point where coats are becoming the norm for mornings and afternoons. I knew this time would arrive. Even if it is too soon. The Halloween decorations are adorning the stores and my neighborhood homes--we even have decorated our house with the trappings of the season. 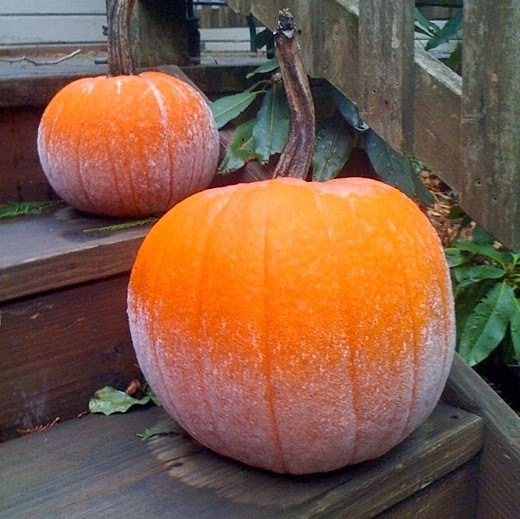 Sadly, as I discovered on Sunday morning, the frost is on the pumpkin and Jack-o-lanterns are adorning houses. The harvest season is underway. Soon, too soon, the heat will have to be on to warm the house. And then November will arrive. Maryland's new tougher cell phone laws went into effect on October 1st. To summarize the new laws, basically, breathing on a cell phone while driving is grounds to get pulled over and receive a ticket. I have some issues with this law--sure, you shouldn't talk or text, but my cell also serves as a GPS and provides turn-by-turn directions. Sometimes I need to look at it to figure out what it is trying to tell me. 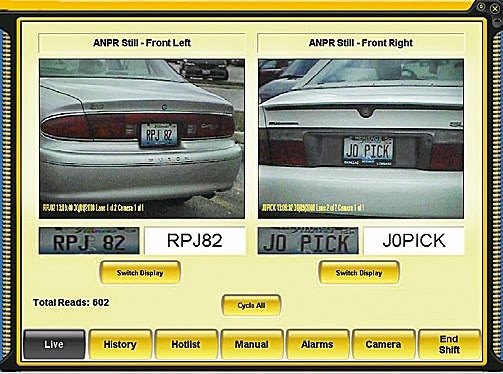 Adjusting information in these modes would be no different than using the radio or permanently installed GPS. This law seems to be unenforceable and overly restrictive. 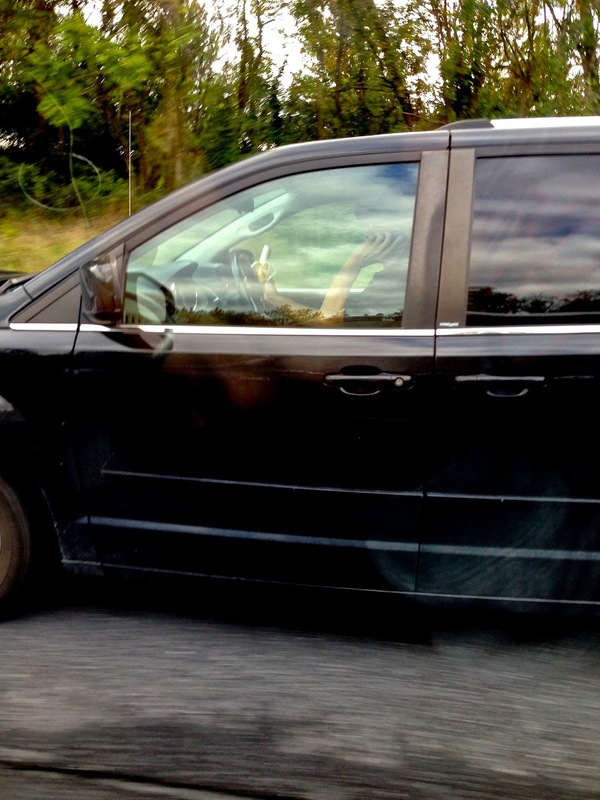 As evidence for my assertion, on Saturday, while Chris was driving, I noted the man in the image driving next to us. He was talking on his cell and eating a banana while driving. He was impeding traffic. I couldn't believe it. I wasn't sure which was more important? Talking on the phone or eating the banana, because it surely was not his driving. Even more frustrating? No police to show him the error of his ways. We don't need more laws, we need people to exercise common sense. 1. Autumn arrived with a vengeance over the weekend. The first frost of the season arrived in many places, including the golf course I waited for two hours to play on yesterday morning. I had never heard of a frost delay before. 2. I have a bad case of ORANGE FEVER this morning! 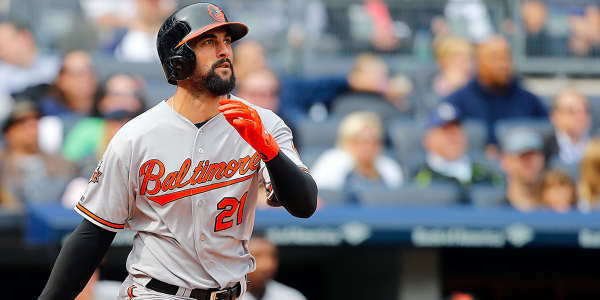 The Orioles are one of the last four teams remaining in baseball--and the baseball pundits can't figure out why or how! 3. 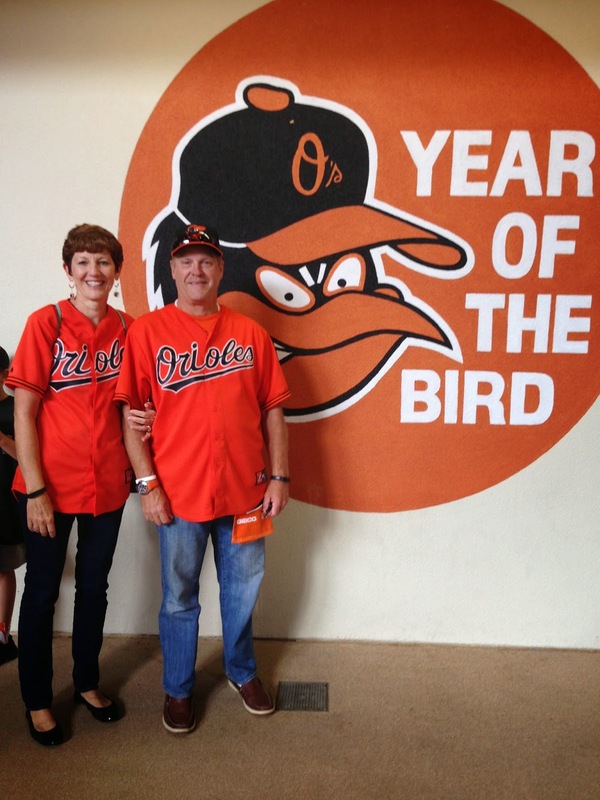 We held a family October gathering yesterday, not to watch football, but to cheer on the Orioles. It was rumored that at one point someone received a text message telling us to calm down because we were louder than all of the fans in Tiger stadium watching the game. 4. I have to confess, I really didn't care about the scores of the NFL football games being played yesterday. 5. Baltimore is waking up this morning realizing that it is, and always has been, a baseball town. The only reason that football seemed to be king was that the baseball team abdicated its position for over a decade. They're back! 6. On this day in 1866, the Reno gang carries out the first robbery of a moving train in the U.S., making off with over $10,000 from an Ohio & Mississippi train in Jackson County, Indiana. Prior to this innovation in crime, holdups had taken place only on trains sitting at stations or freight yards. 7. The frosty morning waiting out a frost delay did provide a pretty picture. Thankfully, the pool was closed last weekend before the leaves decided to fall off the trees in earnest. I looked out yesterday morning and it was snowing leaves from the trees. I could only imagine the mess and stress of trying to close the pool amidst all of the leaves. Although the day dawned warm, by evening the temperature had dipped to 52 degrees and was headed into the overnight 40's for the coldest night of the season so far. It was actually 37 degrees when I woke up this morning! I had to close the windows and even considered turning on the heat--but, not yet. The leaves fell for most of the day even though they had not yet changed their colors. Jax's football game, which started almost two hours late at about 5:30 was downright cold and autumnal. The chilling breeze was most uncomfortable. OK, I was cold even though i though I had dressed warmly. Not so, it seems. 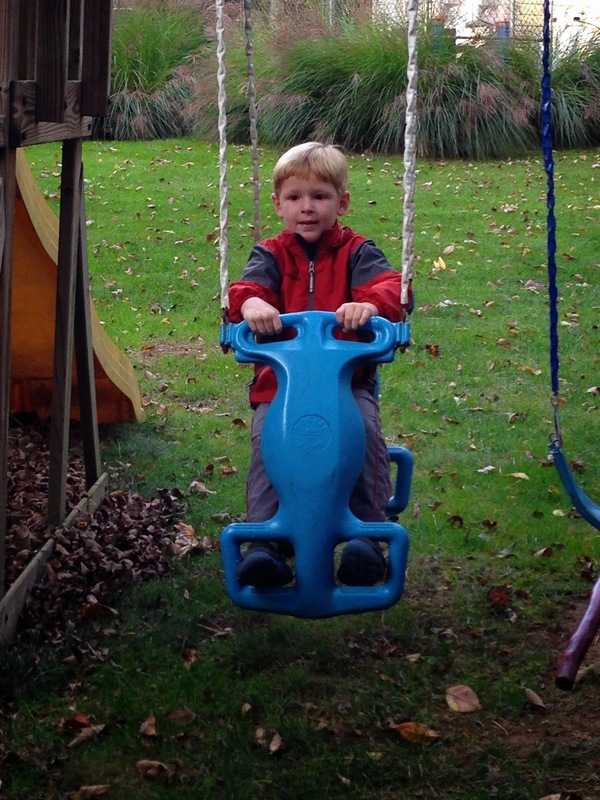 Autumn took a firm grip on the weather after two weeks of letting summer extend itself. Pool season is definitely over! Orioles Baseball fans are, I believe, the hardest working fans in all of baseball. And our team knows that we are there. I attended the greatest baseball game of my life yesterday. I have been to a lot of baseball games--I have seen the good, the bad, and the down right ugly. Yesterday, it took a combined team and fan effort overcome a daunting 3 run deficit in the 8th inning to secure victory is spectacular fashion and demonstrate to a national television audience that Baltimore's baseball team and its fans are ready for prime time! The game lasted 3 hours and 41 minutes. The cheering began well before the game amped up when the stadium announcer encouraged everyone to cheer when the national TV coverage clicked in. Joining me in the stands were over 48,000 of my new best friends--mostly wearing orange and black! It was an undulating sea of orange. It was awesome! Why is being an Orioles fan hard work? Well, thanks to the MLB television scheduling fiasco, we didn't know the time of the game until Wednesday night--and then it was a Noon start! 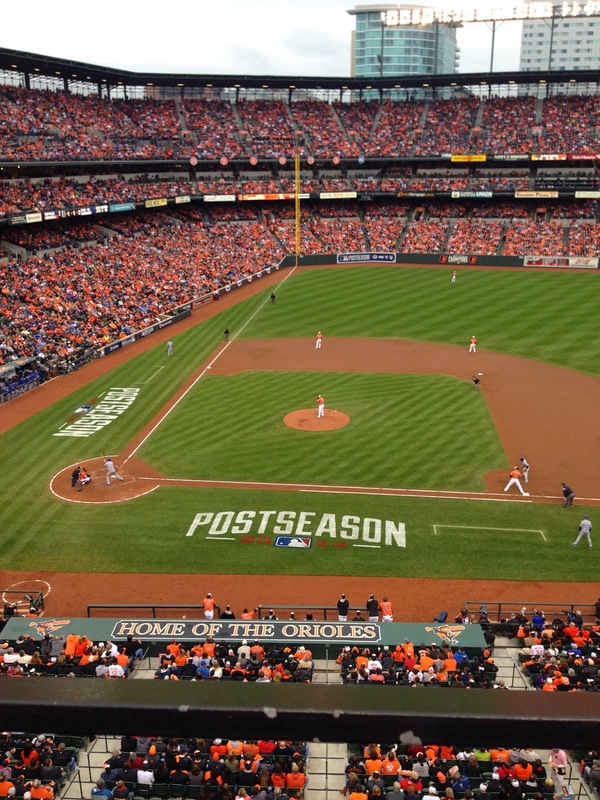 There is a lot of preparation that goes into Orioles playoff baseball game from a fan perspective. The orange jerseys and shirts must be clean and ready. Plans for work must be changed to accommodate the daytime game. Coordination with other fans attending the game must be finished. And then there is navigating the highways to get to the stadium. Baltimore constantly finds new ways to frustrate drivers in their quest to arrive anywhere on time with never-ending construction and irrational lane closures. All of that is just the preparation. 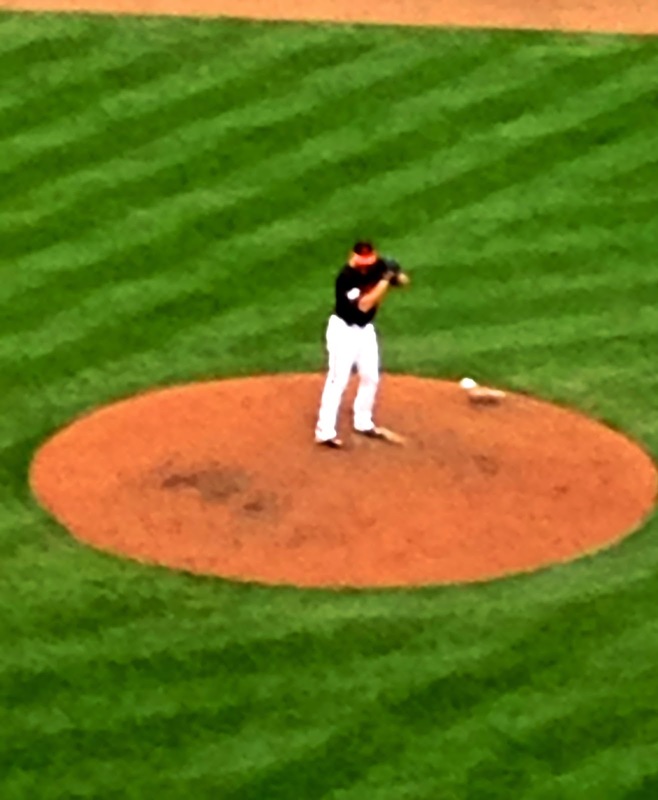 Once in Orioles Park at Camden Yards, or OPACY, the real work begins. The stadium is an awesome place in which to attend a game. The concessionaires were running at full speed to minimize wait times--but face it, 48,000 fans are no small number of people to keep happy. The real fan work begins as the game prepares to start. An Orioles fan needs to know the multitude of cheers and be ready for the signature "O" cheer during the national anthem. The echoes returning from the surrounding buildings yesterday were fantastic and the stadium literally shook as the Orioles faithful amped up the energy level in preparation for the game. 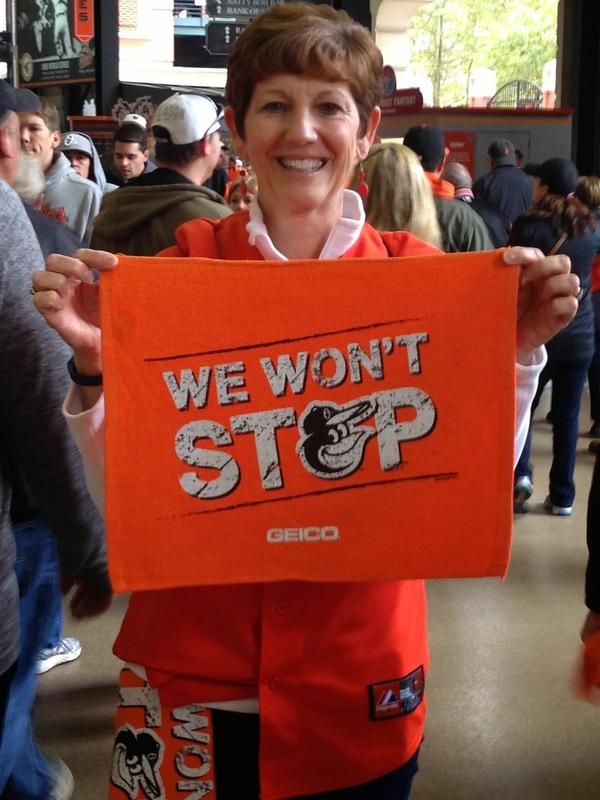 Any Orioles fan who is not hoarse the next day, or who does not have tennis elbow from waving their towel--didn't leave it all on the field! The game was a seesaw affair. The Orioles took a 2-0 lead in the 3rd inning, only to surrender 5 runs in the top of the 4th inning and then get one back in the bottom of the inning. Even though the score was 5-3 until the 8th inning, the enthusiasm in the stands never waned. Having watched this team all season, the fans knew that their moment to secure a victory would soon come--and it did. It was essentially all over for the Tigers when they added an insurance run in the top of the 8th inning, increasing their lead to 6-3. Down to the last six outs--it was time to play serious post-season baseball. The fans responded and the noise level in the stadium began to exceed that of a jet engine at maximum rated thrust preparing for take off. The cheer "We Won't Stop" echoed off the surrounding buildings as 48,000 plus people were united with their team and the comeback began. Four runs and two Tigers pitchers later--the victory was all but secured. OPACY was rocking! Eleven pitches and three Tiger's batters later--victory was achieved as our closer extinguished any hopes that the Tigers had of spoiling the beautiful October afternoon. By the time the win was secured--the fans were exhausted. Like the team, we had left it all on the field. I may not be able to speak for two days because I gave my voice to the throng. 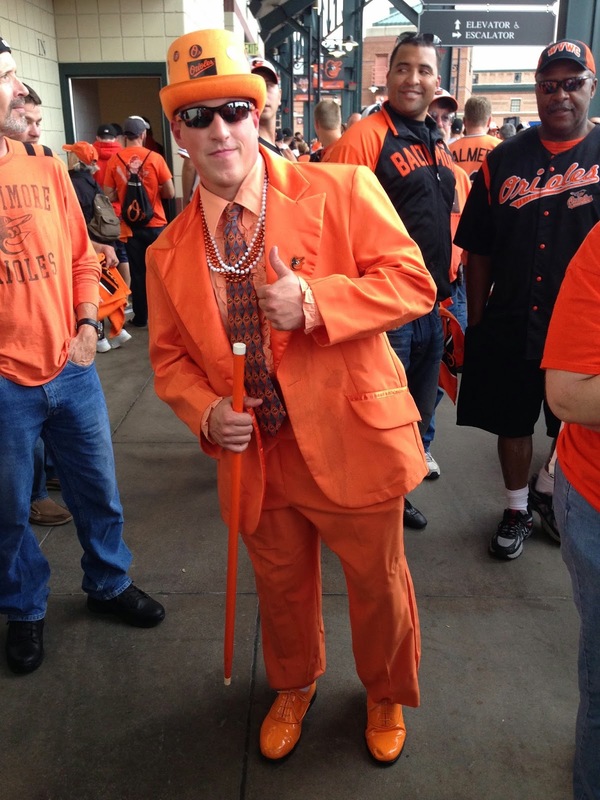 Orioles fans are called "the best fans in baseball," and I know we are also the hardest working fans in baseball.